Hello darlings. 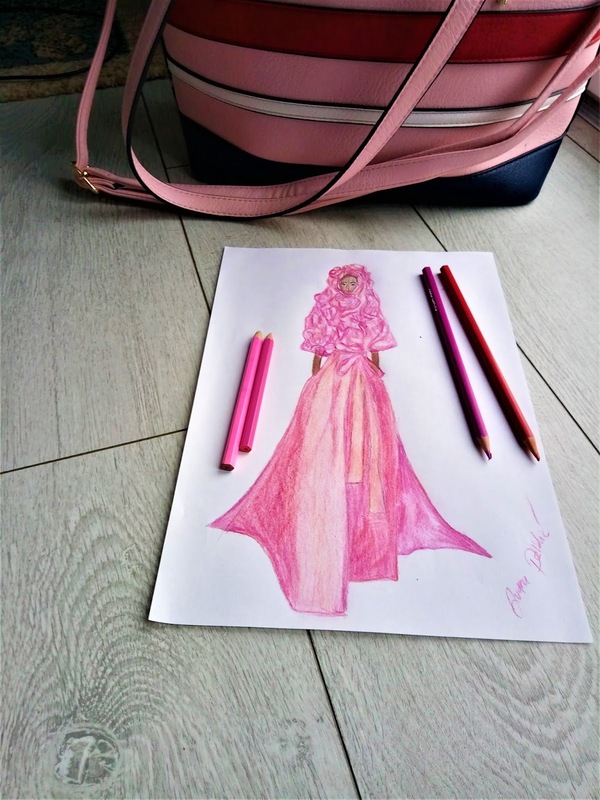 Today I'm back with another fashion drawing. 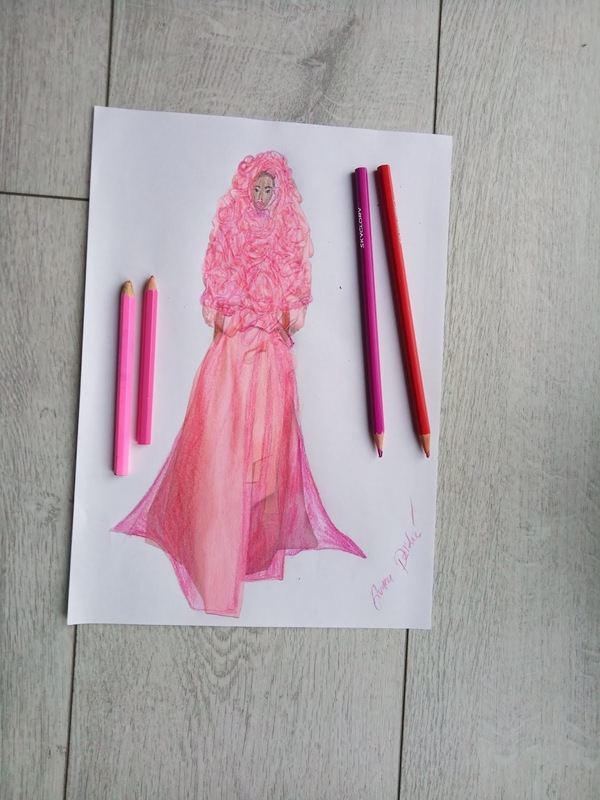 This time I was inspired by Valentino Spring 2019 couture collection. My verdict? 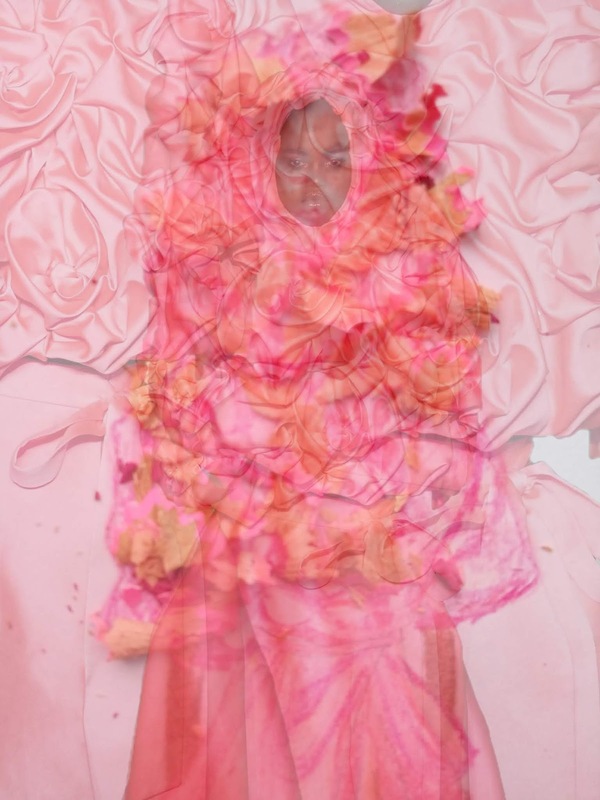 Pierpaolo Piccioli has created a truly breath-taking collection! Have you per chance seen it? It's all over social media. 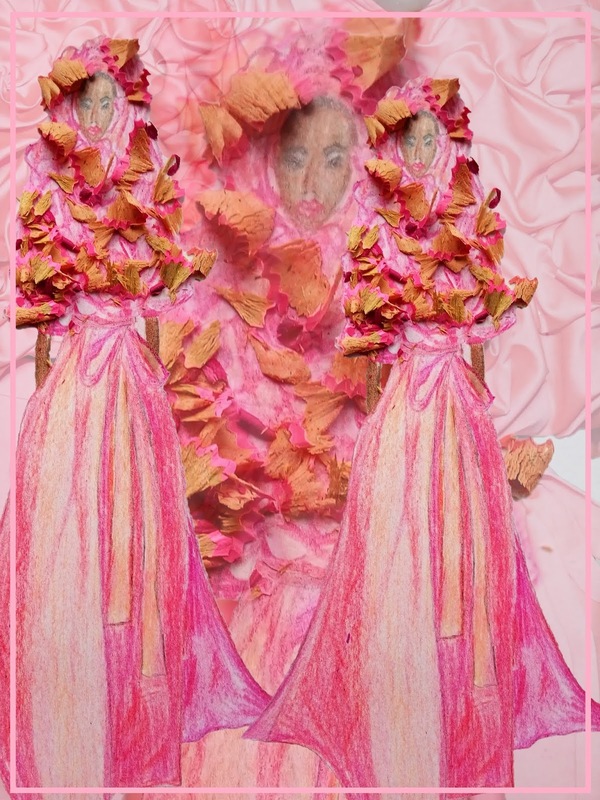 I think it's great that people are getting that excited about couture fashion again. I do like couture fashion. The best couture collections always make you feel like you have stepped into a fairy tale. In addition, it is fascinating to see all those magnificent gowns, isn't it? 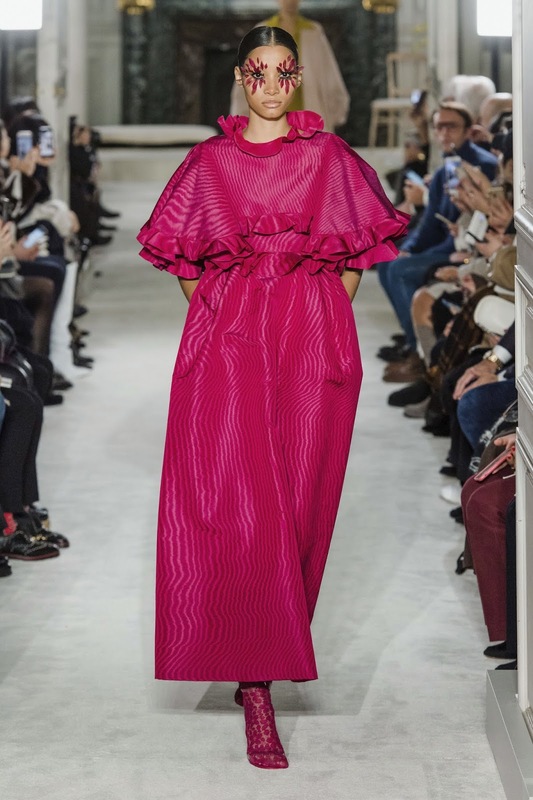 I suppose part of couture's appeals lies into recreating that 'modern princess' feeling. When you look at a couture collection, you can be pretty sure that these are some carefully constructed garments. 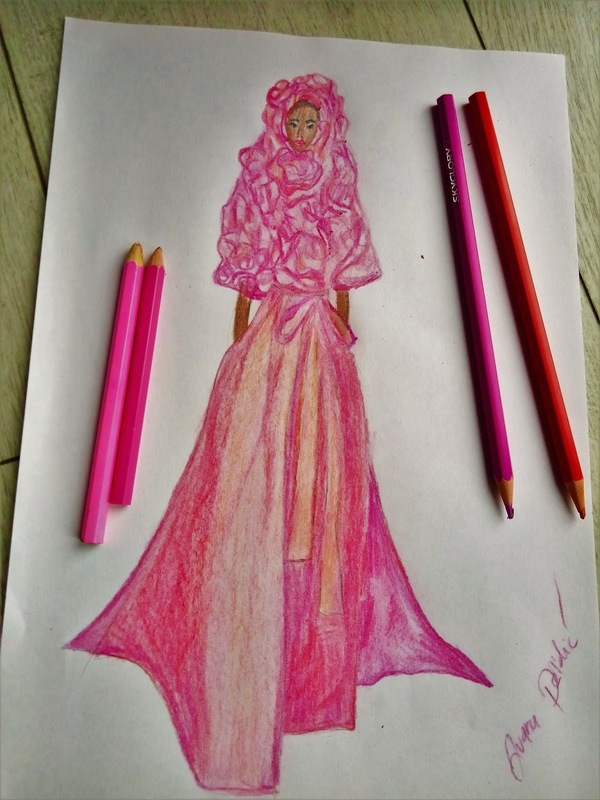 You know you're seeing gowns and creations that someone has put so much effort into. 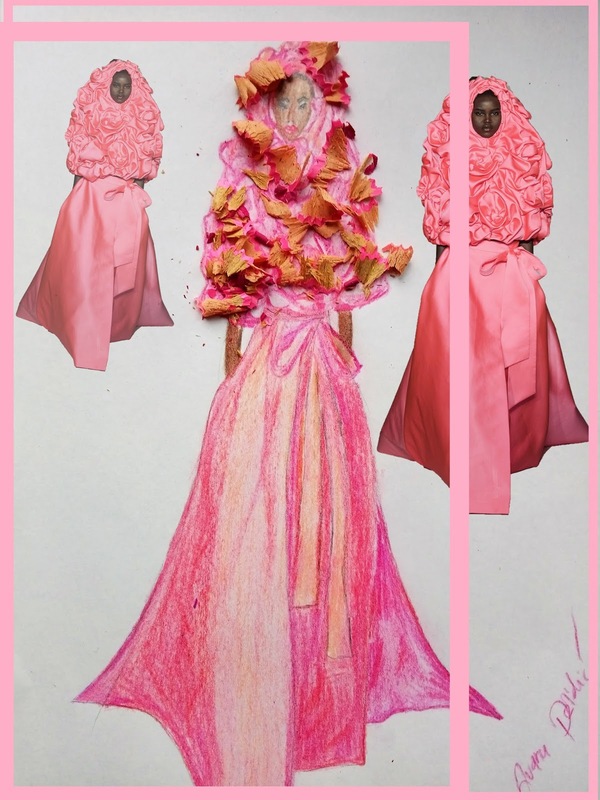 I do enjoy seeing couture collections mainly because they are often very theatrical, both in design and in feeling. It is not so much the dresses itself that I want to own, as much as I just enjoying seeing them. I suppose these dresses just give me that feeling of being lost in a fairy tale. What about you? Do you like couture fashion? 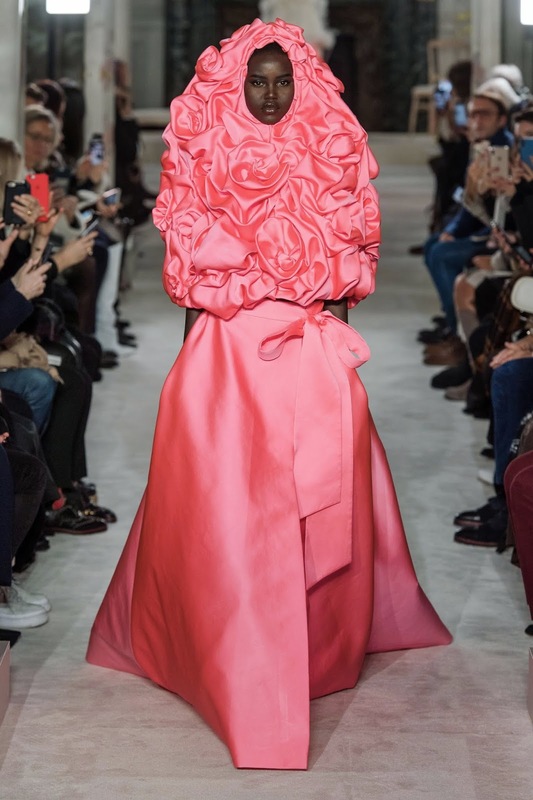 Who is your favourite couture designer? I'm not sure I have a favourite, but this Valentino collection has certainly caught my eye. The gorgeous silhouettes, the vibrant colours and the abundance of ruffles all joined to make me feel like I have stepped in fashion heaven. I should draw more of this collection! A lot of illustrators are drawing Naomi right now. She sure did look gorgeous in this Valentino couture show. I'm a nineties kid and Naomi Campbell is the first supermodel I ever remember hearing about. She was the super star in the nineties. As everyone else, I adored her. However, ever since I've learned of the fact that she has psychically attacked and injured so many women, I've never thought of her in the same way. I don't think someone should get away with something like that just because they are famous. Maybe that is why I've never illustrated her, even if I happen to think she's gorgeous. Instead I illustrated Adut Akech, who also happens to be the model of 2019. 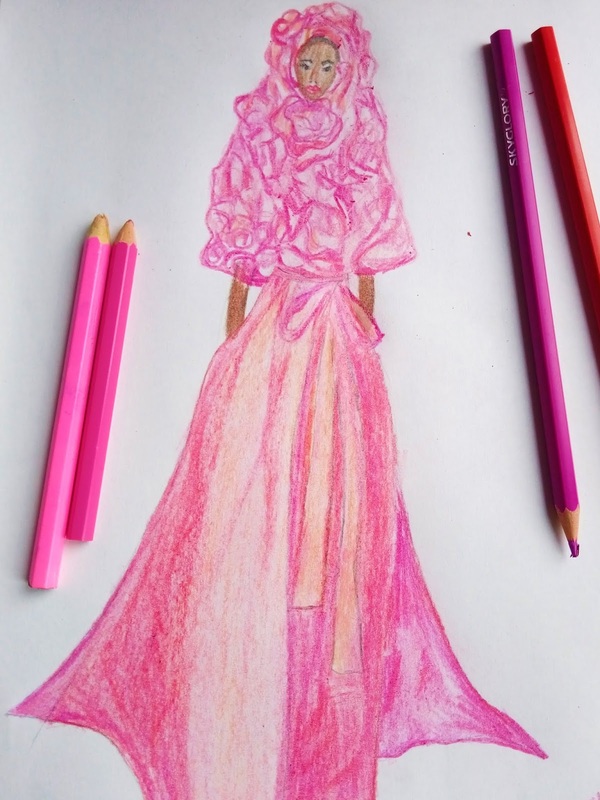 Doesn't she look like an angel in this pink gown? Such a beauty! 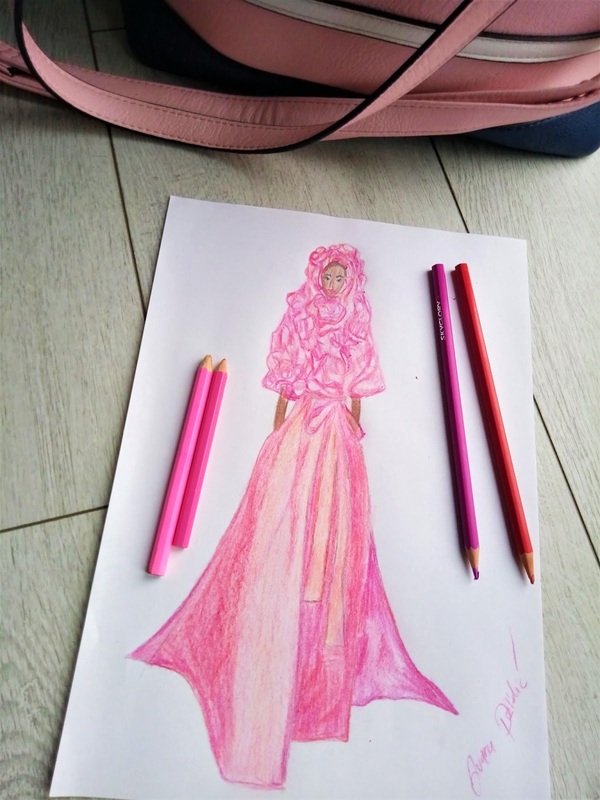 Now, a few more details about the fashion sketch I'm sharing. The medium for this drawing is coloured pencil on paper. This drawing took me about half an hour to complete. I'm thinking of making another version when I have more time. Should I try pastels or watercolour? We'll see. I wanted to devote more time to it today, but life got into way. Thank you all so much for your comments on my last post. I'm glad I'm not the only one who struggles with organizing her stuff. Clothes are a good comparison to my art storage issues. As someone who likes clothes, that's another problem I can relate to. I have quite a few closets in my home, and while all my clothes still fits in there, sometimes I feel like I have too much. Sometimes I wish I had more space for my clothes, but sometimes I'm glad I don't. Organizing stuff can take time. Perhaps I should attempt a closet organization tomorrow. Perhaps I could store some of my art in my closets. I tried that once, but the drawings got damaged. I do agree with you that taking photographs of them is a good way to preserve them. That way even if I lost some, I will have a copy that I can print out (if nothing else). That's a good tip, thanks. It is interesting how after complaining about having too much drawings and paintings and nowhere to store them, I busied myself with making more drawings and paintings. I'm I'm hopeless, aren't I? Scroll down to see more photographs of this illustration as well as the photo reference. I am jealous you have more than one closet for clothes! I share a wardrobe with my husband. it is a big one in the master bedroom, but I still only have half of it. I had to install one of those extra rails to give myself two rails to hang things, haha! Or it would be even more overflowing than it is now! I forgot to mention that I also share them with husband and he has a lot of clothes! I really love couture fashion and my favorite designers are Elie Saab and Viktor&Rolf. They always have amazing dresses! I really like your illustration! You are very talented! yes, they do. I love Elie Saab and V& R too. I plan to illustrate some of their looks in the future. Meraviglioso l'abito e la tua creazione ancora di più!!! The illustration looks wonderful and the colors are so beautiful. I love creative pieces, they're beautiful. Great sketches dear! Always love your illustrations.